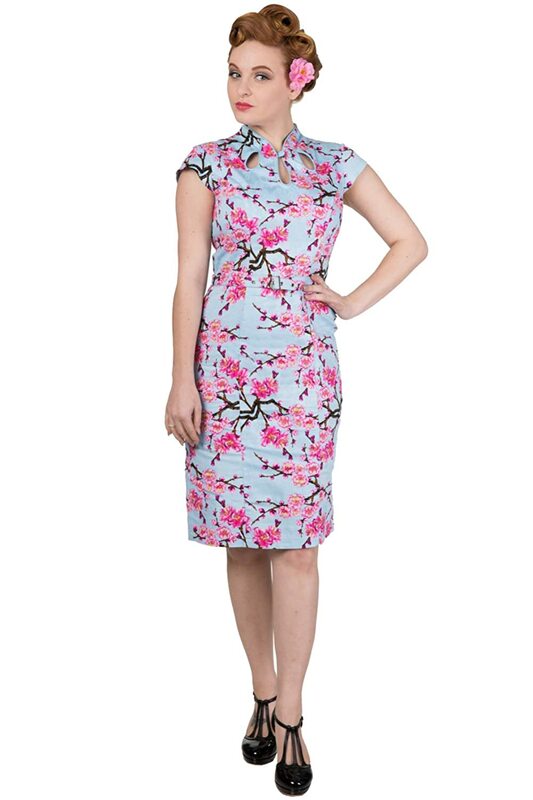 We just LOVE retro colors and big prints that are popular on vintage 50s inspired dresses this year. 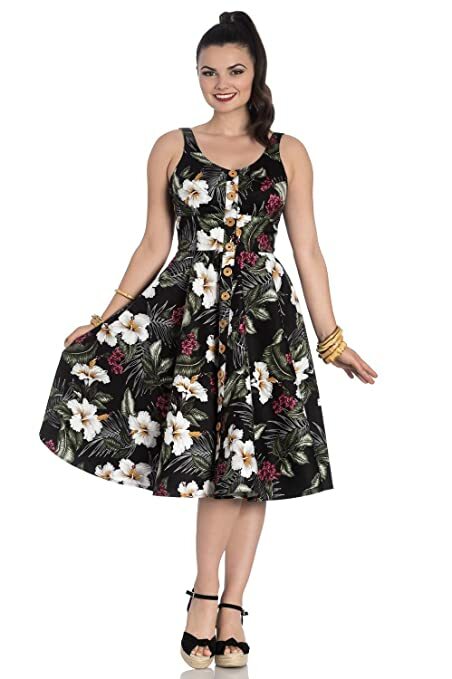 With full swing skirts or wiggle pencil shapes, fifties dresses belong in your closet now! 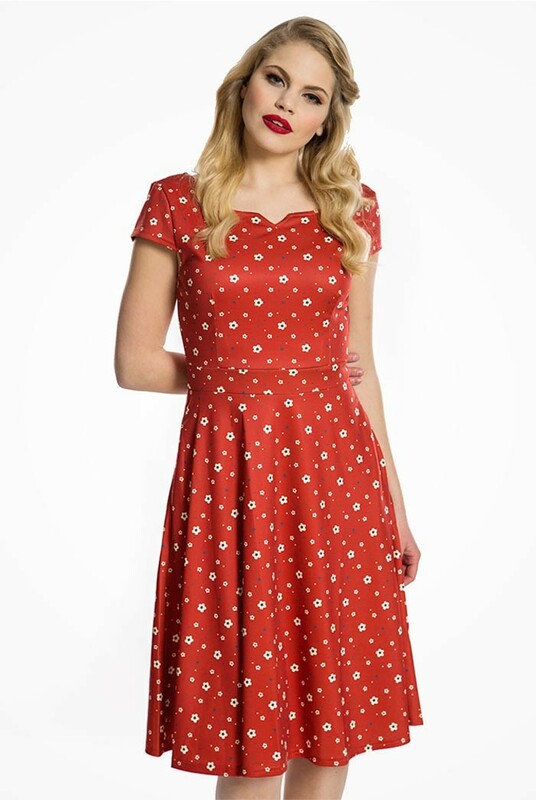 Other popular 50s dress prints are cherries, gingham checks, and polka dots. They are the perfect everyday dress to wear to a casual work environment, vintage BBQ or picnic, garden wedding, beach vacation, or old-fashioned sock hop. 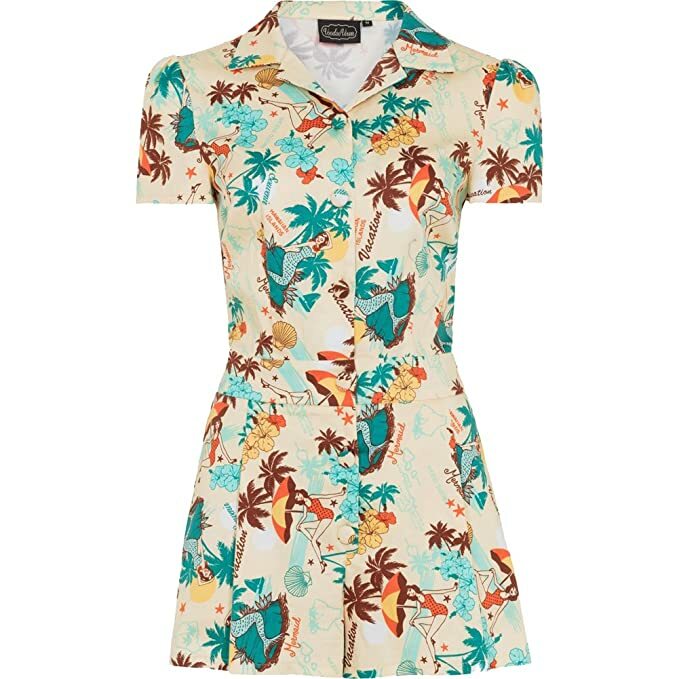 You can also do as the rockabilly gals do and wear a tropical print halter neck dress for the ultimate summer fashion. Add a flower hair clip, wide cinch belt, and heeled shoes to complete your vintage fifties look. 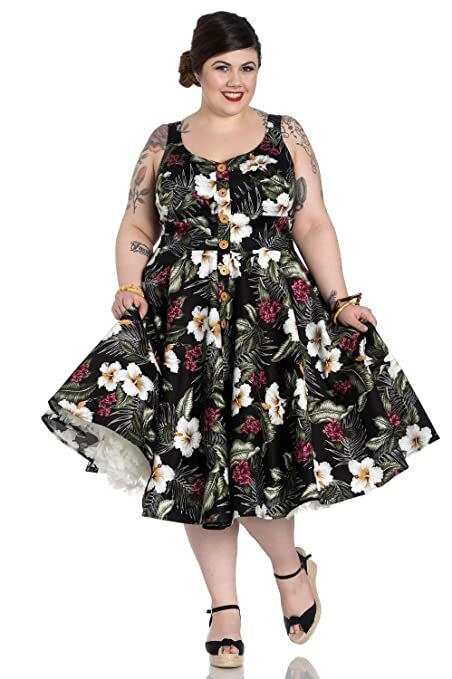 Shop here for plus size 50s dresses.